FILE – In this Feb. 5, 2017, file photo, former President George H.W. 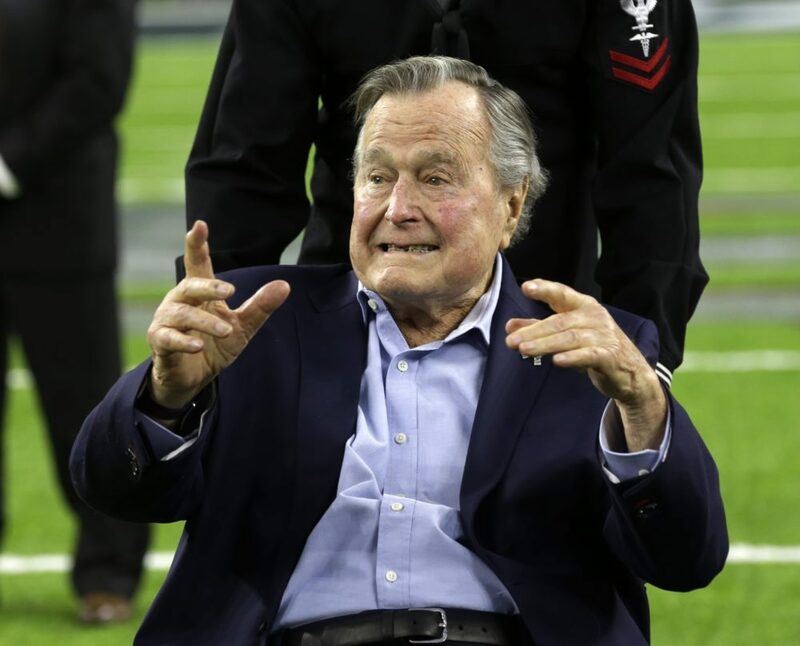 Bush arrives on the field for a coin toss before the NFL Super Bowl 51 football game between the Atlanta Falcons and the New England Patriots in Houston. Former President George H.W. Bush has come out in support of Houston’s bid to host the 2020 Democratic National Convention. “Of course, Mr. Mayor, I want to be clear that I am not also endorsing whoever might claim the DNC nomination in Houston at what I am sure would be the best political convention in modern history – unless it is you! Then I would have to think about it,” said Bush in the letter. 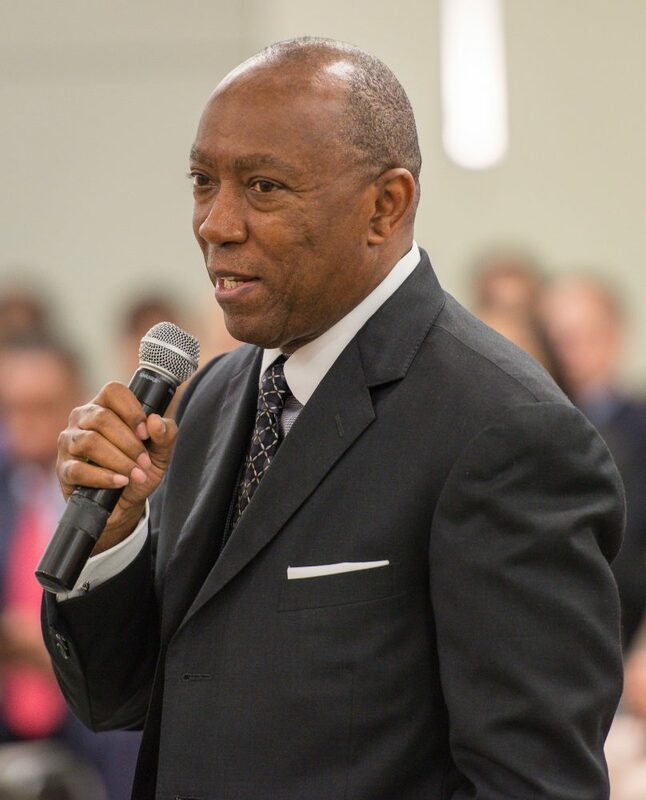 Houston Mayor Sylvester Turner comments during swearing in ceremonies for newly elected Houston ISD trustees, January 14, 2016. Turner said Thursday, June 21, Houston, Milwaukee and the Miami area are the finalists to host the 2020 Democratic National Convention. Turner told City Council members June 20 the trimmed field makes Houston’s chances for hosting Democrats “exponentially better.” The city last hosted a Democratic National Convention in 1928. Republicans gathered in Houston in 1992. Toyota Center, home to pro basketball’s Houston Rockets, would be the main convention site. Atlanta, New York City, San Francisco and Birmingham, Alabama, also were seeking the convention.